Published: Dec. 24, 2017 at 03:35 p.m.
DeMarco Murray runs in a 6-yard touchdown. 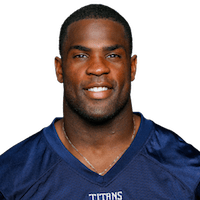 Published: Dec. 3, 2017 at 03:30 p.m.
Tennessee Titans running back DeMarco Murray runs for 22 yards. Published: Nov. 26, 2017 at 03:47 p.m.
Tennessee Titans running back DeMarco Murray runs in a 1-yard touchdown. Published: Nov. 12, 2017 at 04:20 p.m.
Tennessee Titans QB Marcus Mariota tosses to DeMarco Murray for 7 yards into the end zone to put the Titans ahead for good.